Please note: this Bulletin is being put on the website one month after publication. If you would like to receive the Bulletin as soon as it is published, please contact the Membership Secretary about joining the Lewes History Group. Our next meeting will be on Monday 9 September when David Millum of the Culver Archaeological Project will speak to us about Roman activity along the River Ouse in the period before there was a Lewes and when the rivers were the main transport routes. There were of course people living around where the town now stands, as the lynchets on Malling Down testify. However, the nearest known villa was up-river near Barcombe church, where there was also a huge bathhouse. Roads from there track to what looks like a major settlement at Bridge Farm in Ringmer, near Barcombe Mills, where the Culver Project has just completed its first season’s dig. As for Ivan Margery’s “Roman Road to Lewes”, it now seems to be rather up for review. The meeting will be open for coffee from 7 pm and there will be a display of the Culver Project’s materials before the talk. 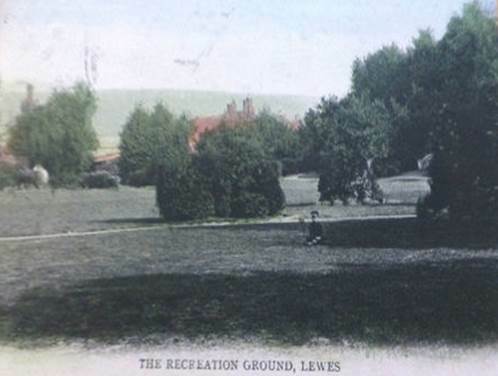 Last time I showed a picture of “The Recreation Ground, Lewes” from around 1910 and asked where it was, there was no response. Here is another Edwardian postcard, with the same title but a different perspective, with the Downs in the background. Can anyone identify the location now? “This town is built in the form of a cross, and consists of three streets, North-street, South-street and West-street. In the two former the air and water are good; but in West-street [Cliffe High Street] both are as bad as a narrow, crowded street and a swampy, dirty situation can make them. The chief part of the inhabitants indeed have long been reprehensible for adding to the natural disadvantages of their situation, by encroaching with bulks, penthouses, projecting windows, and every new building, as far as possible, on a street already too narrow; and their extreme inattention to the sewers. So unfavourable a combination would, ere now, have desolated this populous and opulent street, were it not for the currents of sea air that frequently visit it from the south and south-west in summer and autumn, and from the north and north-west winds that that in winter and spring dissipate its brooding vapours. But notwithstanding these salutary visitations, fevers of the most malignant kind have frequently broken out in the Cliffe and spread their contagion to the purer atmosphere of Lewes and Malling. The augmentation of the poor rates on account of such sickness has, in the course of five years, cost the parish more than it would to deepen the sewers, so as to procure a constant current of fresh water through each, and a communication between them and every part of town, by means of kennels or secondary sewers. The porous soil of the more western parts of this parish being constantly saturated with the stagnant sulliage or filth of the vicinity, their well water is thereby impregnated with noisome and disgusting particles. Such of the inhabitants therefore as cannot relish the filtration of a jacques or cistpool, are obliged to have water from the pumps in South-street at a considerable expence and trouble. This inconvenience could be removed by an aqueduct from a perennial spring of the purest water, which is less than a mile of the town. 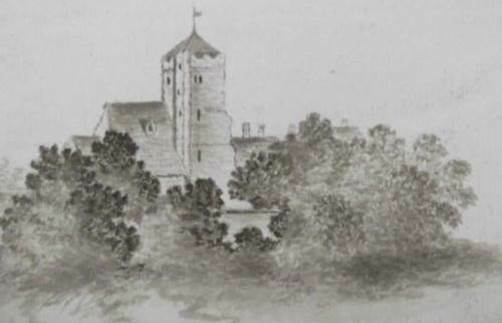 This unsigned Victorian drawing of “Cliff Church, Lewes”, was offered on ebay in January 2012. The Lewes Racecourse is the fourth oldest racecourse in England. It stands 500 feet above sea level and holds a lot of history and many memories for those who are still around today. The weekend of 14 September 2014, in a year’s time, will be the 50th anniversary of its closure and we are going to be putting on a few events to commemorate this occasion. What we are aiming to do is to retrieve as much information about the racecourse as possible to put into the ESRO archives. If anyone has any memorabilia to share with us then please contact Barry Foulkes on [Information removed 20.3.19 at Barry Foulkes’ request]. We are also going to try to recreate what would have happened back in the day when the racecourse was open. There will be lectures and a memorabilia exhibition in the White Hart Hotel on Saturday 13 September 2014, with a Georgian Ball in the evening. There will also be a coach ride up to Race Hill. 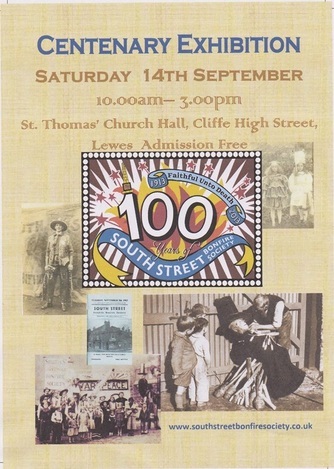 On Sunday 14 September there will be a grand parade through Lewes town up to Race Hill where there will be a classic vehicle show, fashion show, Victorian-style side shows, commentary from the last day’s racing, refreshments, horse racing games and live music. If you would like to take part in any of these events, including setting up your own stalls or side shows, contact Barry as above. These celebrations will raise funds for the Lewes Victoria Hospital so any donations will be appreciated. For further information see [Information removed 20.3.19 at Barry Foulkes’ request]. 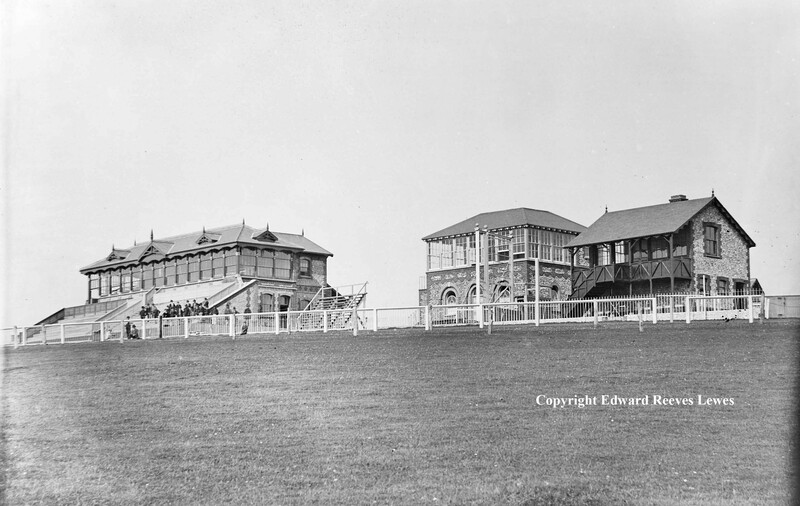 This photograph from the Reeves collection, probably taken in 1874, features the racecourse grandstand. The new 1874 racestand is the one on the left. Reeves are the oldest photographers in Lewes still in business, and have a remarkable archive, not as yet fully catalogued. John Kay will be speaking on ‘Care of the Lewes Poor (to 1900)’ at 3 p.m. on Sunday 15 September in St Anne’s Church, Western Road, followed by tea at 4 p.m. This will be the ninth annual meeting of the Friends. Free parking available at County Hall, behind the church. The Lewes branch of the WEA is running a course titled ‘Sussex at War’ over 10 sessions this autumn. The course starts on Thursday 26th September, running from 2.00 pm to 4.00 pm at the Friends Meeting House in Lewes. Throughout our history, Sussex has been in the front line of the nation’s defence, the place where invaders might, and sometimes did, land. The course will cover the way that attacks – both threatened and actual – have shaped our history and landscape over the centuries, including through both World Wars. The course tutor is the local historian, Jennifer Goldsmith. The fee for the 10 sessions is £79, but with some concessions. See www.southern.wea.org.uk for details, or phone 01273 477447. 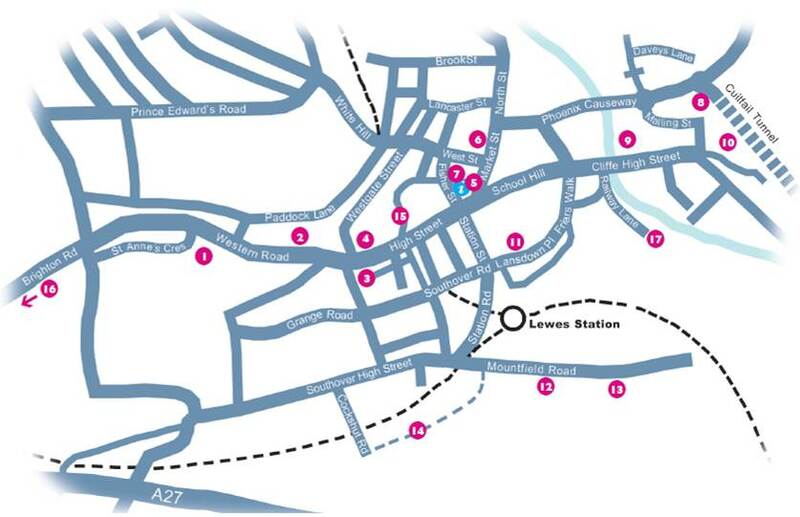 Just a reminder that sixteen historic Lewes buildings and one very interesting modern structure will be opening their doors over this long weekend. Some are not normally accessible, and for others there is usually an entry charge. There are a range of guided tours, and for some advance booking is essential. An opportunity not to be missed. For full details visit the website. A new edition of the East Sussex volume of Pevsner’s ‘Buildings of England’ was published this year, and copies will be available at a discount from the Skylark bookshop in the Needlemakers during the weekend. This entry was posted in Cultural History, Historical Geography, Lewes, Local History. Bookmark the permalink.